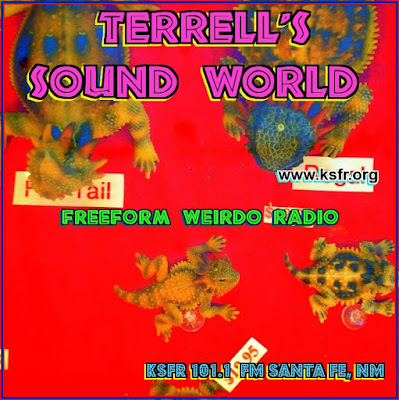 Stephen W. Terrell's (MUSIC) Web Log: TERRELL'S TUNE-UP: Mekons Unleashed! There aren’t many bands that I’d fly across the ocean to see. The Mekons is one of them. 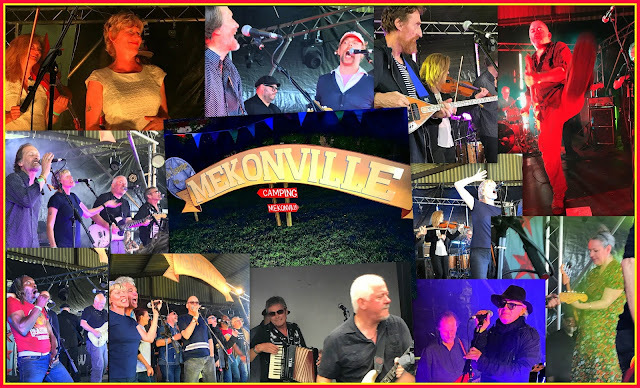 And if the group’s various performances at the 2017 Mekonville Festival in Pettaugh, Suffolk County, England — a glorious three-day celebration of the band’s 40-year history — weren’t enough to prove that my love for The Mekons wasn’t misplaced, their new album, Deserted, is. It’s their best album in more than a decade. Of course, a couple of years ago, I told anyone willing to listen the same thing about their previous album, Existentialism. But Deserted is even better. It’s probably their best in a couple of decades. It’s wild, somewhat cryptic, beautiful in spots — and it rocks like folks their age (or my age) aren’t supposed to rock. Now begins the obligatory part of the column I’ll call “Mekons 101,” which is sadly necessary because so many people don’t know The Mekons from Alexander’s Ragtime Band. The Mekons, a brash, loose-knit art-school band in Leeds, U.K., sprang out of the world of punk in the late 1970s. But by the mid-’80s, they’d gone on to incorporate elements of folk and country music — and, at times, reggae, other world music, and flirtations with electronica and other sounds. Though sometimes referred to as a collective, this band has had an amazingly consistent membership for decades. Singers/guitarists Jon Langford and Tom Greenhalgh have been there since the beginning. Singer Sally Timms, fiddler Susie Honeyman, accordion man Rico Bell, oud/saz player Lu Edmonds, and drummer Steve Goulding all were in place by the mid-’80s. The only current member who hasn’t been around since the ’80s or before is “new guy” Dave Trumfio, the bass player, who joined just a few years ago after serving as a sound engineer for the group. He started that job more than 20 years ago. Deserted was recorded at a studio near Joshua Tree National Park in Southern California. I’d like to think the studio is the lonesome little trailer shown on the album cover and in the video of “Lawrence of California.” I don’t know if that’s so, but whatever the case, like Edward Abbey, The Mekons found incredible inspiration in the American desert. It permeates the lyrics as well as the music. “Harar 1883” deals with a military deserter (the title refers to a famous photograph of poet Arthur Rimbaud in Ethiopia), and is somewhat slower but no less mighty. And the most intense song here is “Mirage,” which sounds like a meditation on post-apocalyptic gloom. One of the real highlights here is sweet, melodic, and pretty. That’s “How Many Stars?” which has deep folk roots. “Captain, Captain, tell me true/Does my sweet William ride with you?” (Sweet William — wasn’t that the fallen lover of “Pretty Peggy-O”?). The captain tells the woman, “He’s lost out in the dark, my dear.” Then the song takes a classic “Butcher Boy” turn, with the heroine taking a pen to paper for what turns out to be a suicide note. “Father, father dig my grave ... show them all I died for love.” The story is ancient, but the melody could haunt you forever. 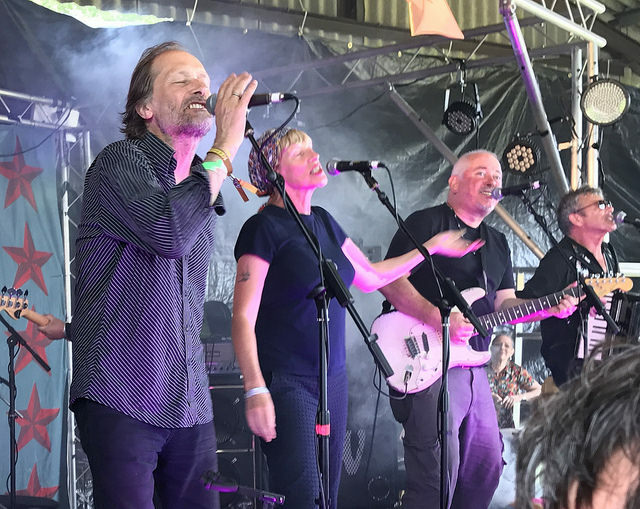 * It Is Twice Blessed by Mekons 77: One of the highlights of Mekonville in 2017 was the set by the original Mekons lineup, which featured Langford (on drums!) and Greenhalgh, as well as singers Andy Corrigan and Mark “Chalkie” White, guitarist Kevin Lycett, and bassist Ros Allen. It was too good to be a one-off, so late last year this group released this album of new recordings. 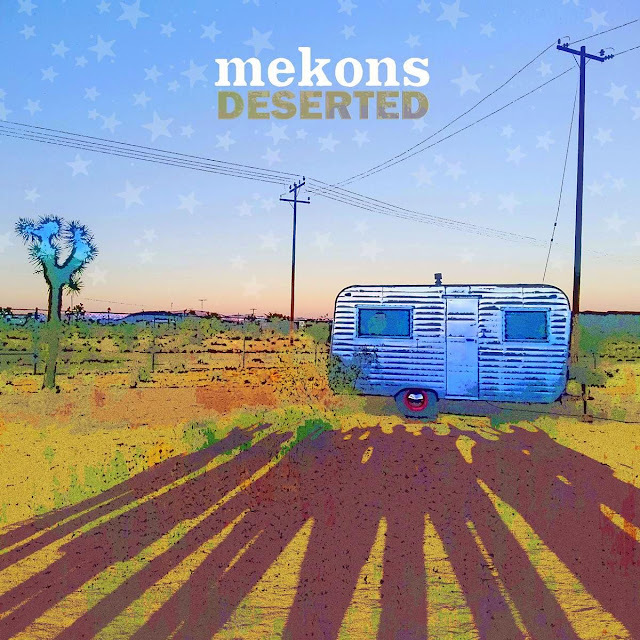 Though most of these Mekons emeriti had long forsaken the music biz, this record is amazingly tight. And there are a number of standout tracks. I’m not sure what “Bug Out Time” is about, but it’s a wild stomper with audio traces of dub reggae. Some songs are political in content, such as “Borders,” “You Lied to Us,” and “Still Waiting” (which could be an answer to the early Mekons showstopper, “Where Were You?” The big hint is “the girl with the yellow hair,” who appears in both tunes). Though there are other songs here fueled by political rage — like that other team of Mekons — there is also plenty of wry humor, so the album doesn’t come off as just another angry screed.